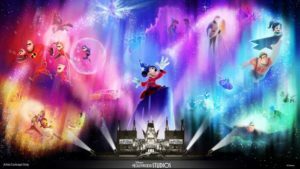 The all-new Wonderful World of Animation at Disney’s Hollywood Studios is set to debut on on May 1 – the 30th anniversary of the theme park! It’s just one of the many new additions coming to the Studios this year. We’re also eagerly awaiting the opening of Mickey and Minnie’s Runaway Railway this spring, the opening of Lightning McQueen’s Racing Academy, and the grand opening of Star Wars: Galaxy’s Edge in the fall.